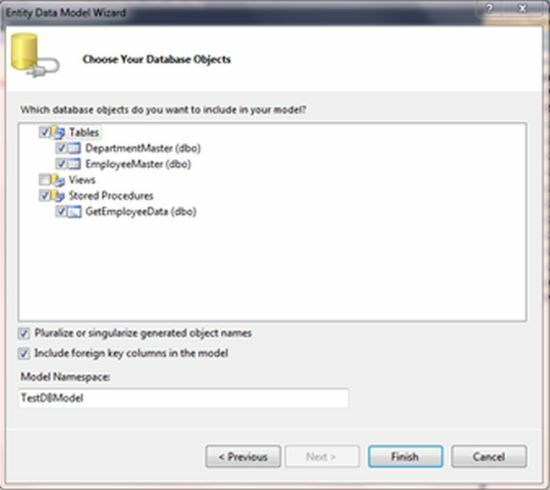 It tells how to create methods, based on Oracle stored procedures and functions, returning REF CURSOR parameters, and how to use the stored procedures for �... This method implicitly calls the execute() method we used before to call the stored procedure in the database. If the stored procedure returns more than one REF_CURSOR, you have to call getResultList() again to access the next REF_CURSOR. This query calls the stored procedure calculate with the input parameters x and y and the output parameter sum. As you can see, each parameter is defined by a @StoredProcedureParameter annotation which defines the parameter mode and its name. Notice that the result set(s) created by the stored procedure are returned first, followed by the result set with the output parameter(s) as returned by the SELECT statement in the anonymous code block passed to the pyodbc .execute method. I have a stored procedure that I am calling from another stored procedure. I like to be able to get a cursor back from the called stored procedure so I can loop through it in the calling stored procedure. 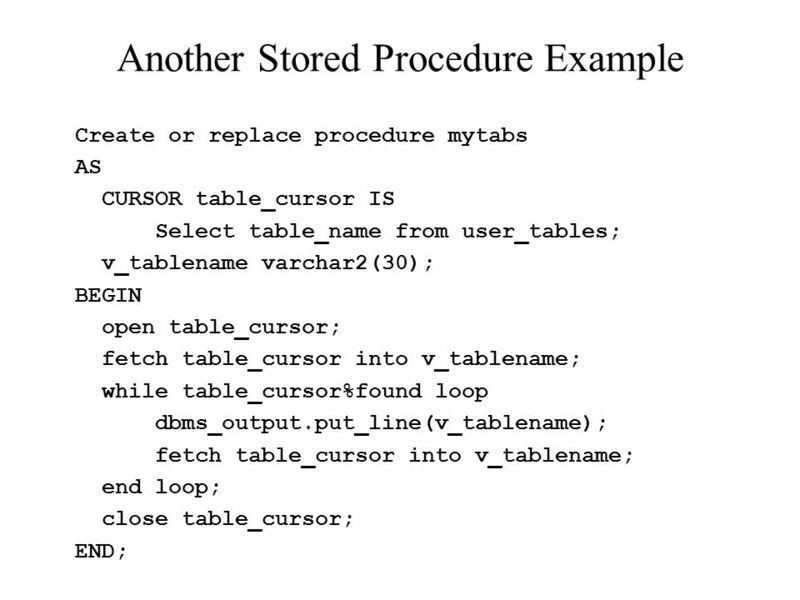 How to call a ORACLE stored procedure that returns ref cursor as out parameter. I am calling this as rdb-list step method and the call is in the browse tab of the connect-SQL but the call is failing as i am not able to bind the out param which is a ref cursor.